FAIRFIELD, Conn. - Rocco & Associates Wealth Management, Inc. (roccoandassociates.com) has announced it will again be offering a free estate planning event on Wednesday, February 28th at the Colony Grill from 5:30-7:30pm, 1520 Post Rd. Staying on top of your wills, health directive, powers of attorney, trusts and other critical documents can be a daunting task without the right support. Many people fail to realize the importance of these planning documents until it is too late. In an effort to help simplify the lives of its clients and friends, Rocco & Associates will be hosting a grab 'n' go event where attendees will be encouraged to bring copies of these critical documents to be reviewed. The firm has also teamed up with the local law offices of Russo & Associates, and its principal, Rob Russo, to assist. 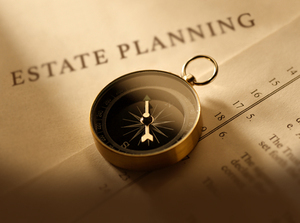 "We are constantly surprised at how many clients come to us without the proper estate planning documents in force or up to date. Even one small omission on any estate planning document could cause a number of issues for families both young and old," said Charlie Rocco, President & CEO of Rocco & Associates. Throughout the month of February the firm will be focused on increasing awareness on Generational Planning through its blogs, social media, monthly newsletter and this event. "We want this to be a completely informal evening, where people can stop by Colony, drop off copies of the documents, have a drink, grab a pizza to go, and head back home. We want to make this as easy as possible," said Eric Johnson, COO. There is no charge or obligation for the event (or the dinner to go). Once the firms review and discuss the documents, we will reach out to the attendees to make any recommendations. The busy lives of the firm's existing as well as prospective clients was a driving force behind the event's structure. "The reason we set this up the way we did was to take that time consideration off the table, and put a pizza on it when you get home." said Johnson, "we simply want to make an introduction and create a forum to answer questions in a convenient and comfortable environment."